A short history of the CENTRETOWN Emergency Food Centre 1967: Nine Centretown churches met to establish the Centretown Churches Social Action Committee (CCSAC) to meet the needs of the underprivileged in Centretown. Today CCSAC is composed of 23 churches drawn from Centretown, Ottawa South and Ottawa East. In its early years CCSAC undertook many important programs, including a Head Start Nursery and Mothers’ Group, the Elgin Street School Breakfast Club, a baby-sitting service, a visiting service for psychiatric patients, work with refugees, the After-Four Programme and an evening drop-in, Centre 140 at one its local churches 1978: CCSAC established the Emergency Food and Clothing Centre at 507 Bank Street in response to a request from the Centretown Churches Ministerial Association, which wanted a central location where they could send those in need. When it first opened in the upper hall of McLeod Stewarton United Church, volunteers were on call and only came in when someone arrived asking for help. 1980: The Centre opened on a regular basis (noon to 4 pm on weekdays). Ella Bateson, who had been in charge of helping the needy who rang the doorbell at McLeod Stewarton Church, was among the volunteers who got the Food Centre going. The Food Centre was run by volunteers under the direction of a volunteer coordinator, Betty Neelin, the CCSAC representative at Knox Presbyterian Church. 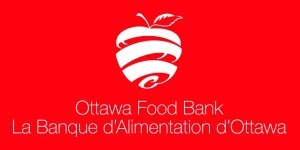 1984: Representatives from various emergency food centres across Ottawa, including Betty Neelin, got together to found “Provisions Ottawa”, a central fundraising and food collection agency, now known at the Ottawa Food Bank. 1989: Betty Neelin stepped down as volunteer coordinator and the first paid coordinator was hired. 1991: The Food Centre moved to a commercial site on Lewis Street for a year while McLeod-Stewarton Church was renovated. The Food Centre then moved back to 507 Bank Street the following year. By this time, it was called the Centretown Emergency Food Centre to help identify its catchment area for clients. 1992: CCSAC established a Management Committee to oversee the day-to-day operations of the Food Centre. Members are appointed at the AGM, and report to CCSAC through the Coordinator’s monthly report. 1994: Our current Coordinator, Kerry Kaiser was hired and quickly distinguished herself in the position, and to this day is the Centre’s greatest asset. 1996: after a decision to ban smoking at the Church’s drop-in, Centre 507, and with further renovations, the Food Centre moved downstairs so that Centre 507’s client could benefit from the more suitable space on third floor. 1997: The Food Centre received its first annual grant from a Student Employment grant from Human Resources Development Canada to hire a student as Assistant to the Coordinator during the summer months. When it was opened, the Centre was seen as a temporary strategy to meet a temporary need. In 1980, the Centre helped 744 people with a budget of $2,250, whereas it currently helps over 9,000 a year and its budget is $200,000. The Food Centre has always welcomed people of all faiths and backgrounds and has treated its clients with dignity and compassion, in a non-judgemental manner. Over the years, the Food Centre has worked to expand its food offerings, to increase the amount of fresh food and toiletries offered to clients, to offer up-to-date information on other social services and complementary resources, and to provide nutritional guidance and tips on food preparation and thrifty shopping. It provides special support for as many clients, especially families, as possible, over Christmas period. It benefits from support from the CCSAC Member churches, the City of Ottawa, the Ottawa Food Bank, local schools and businesses and the generosity of many individuals. Over the years, hundreds of dedicated volunteers have provided food necessities and references to other resources to thousands of needy people, young and old, in Centretown. For many, it has been a step towards a new, more independent life, and for others, it has been an on-going source of assistance. As noted by Betty Neelin, the Centre’s first Coordinator, right from the beginning the reason that people needed to come for food was the continuing lack of affordable housing and unemployment. Sadly, this is still the case, and those of our clients who do have jobs are still “working poor” due to high cost of housing.